There are so many interesting facts about planet Earth. 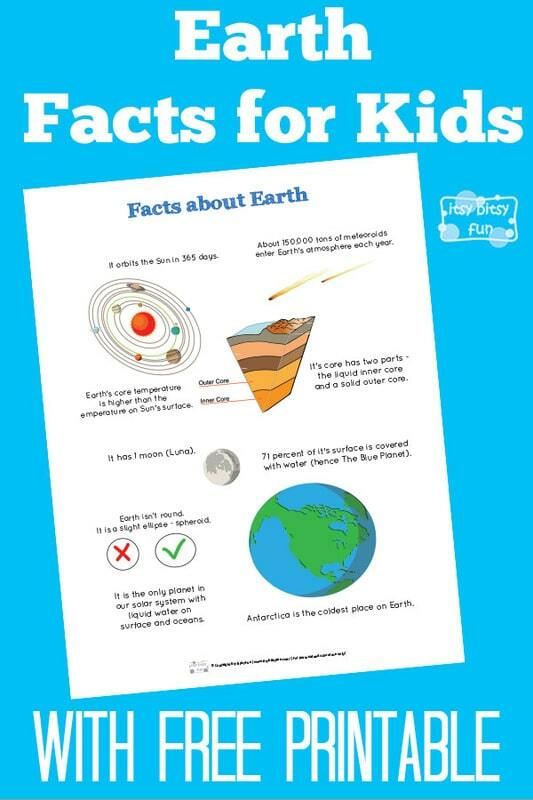 Let’s learn with facts about Earth for kids! 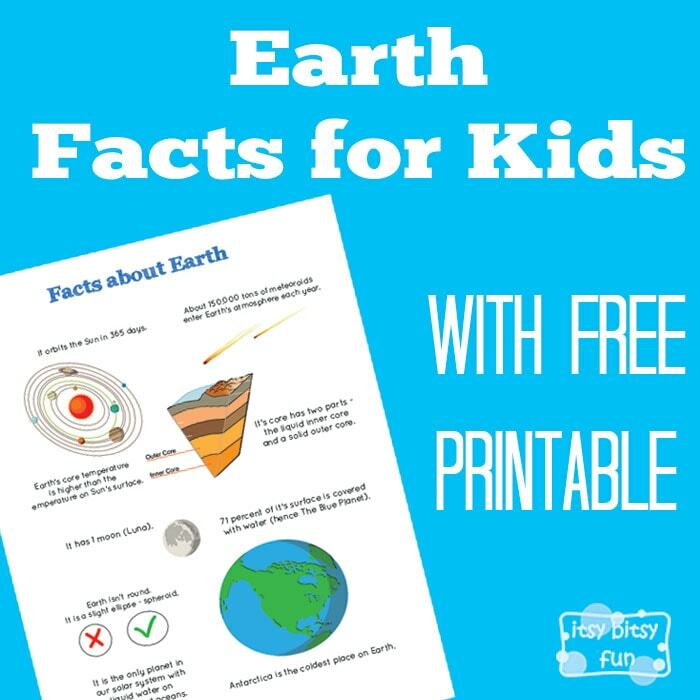 We went through the solar system facts for kids the other day and now it’s time to take a closer look at our home planet. So this one has to be the most awesome planet out there (true we’re not treating it fairly but I trully believe humanity will learn and become more responsible). Let’s learn something about our lovely home shall we? It is the only planet in our solar system with liquid water on surface and oceans. Earth isn’t round – it is a slight ellipse – spheroid. It orbits the Sun in 365 days. 71 percent of it’s surface is covered with water (hence The Blue Planet). It’s core has two parts – the liquid inner core and a solid outer core. Earth’s core temperature is higher than the temperature on Sun’s surface. About 150.000 tons of meteoroids enter Earth’s atmosphere each year. It has 1 moon (Luna).